The latest trend in manufacturing combines automation and data exchange, also known as Industry 4.0. This industrial revolution is set to change the way suppliers, analysts and engineers work together. Industry experts predict businesses using industry 4.0 will be able to increase their productivity by 30%. We take a closer look at Industry 4.0 and what it means for the manufacturing industry. The first industrial revolution (1760-1840) saw a transition from skilled artisans making goods by hand to workers using machines powered by water wheels and steam engines. The second industrial revolution (1870-1914) was characterised by new improvements in technology where electricity replaced water and steam, becoming the main power source for factories. This led to the start of the assembly line, interchangeable parts and mass production. The third industrial revolution (late 1900’s) saw the introduction of disruptive new technologies – automation and computerisation. These advancements changed the world of manufacturing enabling industrial robots, machines and Computer Numerical Controls (CNCs) on the shop floor. Industry 4.0 refers to the fourth industrial revolution and introduces customised and flexible mass production technologies. Technologies such as cyber-physical systems (CPS), the Internet of Things (IoT), data analytics, additive manufacturing and artificial intelligence are integrated into production and manufacturing systems. 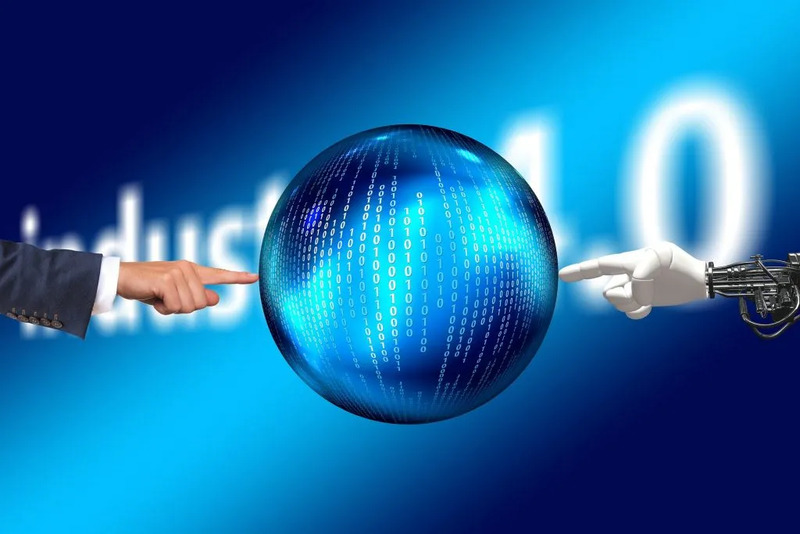 Robotics are connected remotely to computer systems that are equipped with machine learning algorithms that can learn and control the robotics with little human intervention. 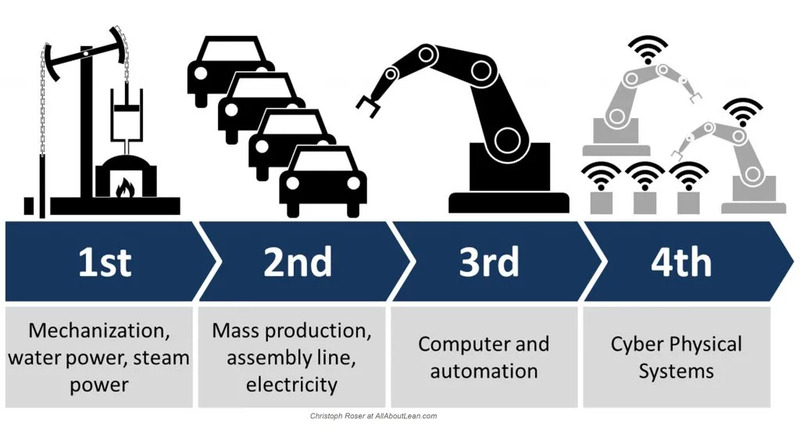 At the centre of Industry 4.0 is the smart factory, where machinery, people, products and systems are all connected. The IoT enables the machines, devices and sensors to connect and communicate, whilst sharing data with each other and with people in real time over the web. This means processes can be managed, shared and accessed across different plants. Factories become digitally connected to the rest of the supply chain. Cyber-physical systems monitor the factory’s physical processes and can make decisions on their own. This makes it possible to automate processes along the supply chain and eliminates routine tasks for workers. For example, products can communicate with machines and initiate the next manufacturing steps, devices that need to be serviced, can automatically notify the technician. IT security poses a challenge where online integration is open to security breaches and data leaks. Customer data collected by manufacturers will need to be carefully managed to ensure privacy. The high investment costs in implementing the new technology can make it difficult for some businesses. Technical problems remain a concern and could cause costly interruptions in production. Workers will also need to acquire a different set of skills to create and implement these systems. 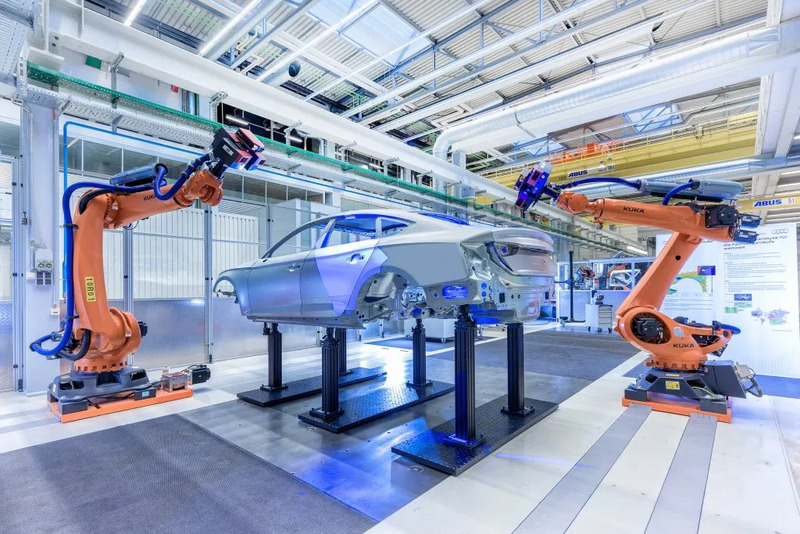 We are already seeing Automotive OEM’s using Industry 4.0, for example Volkswagen uses RFID (radio frequency identification) technology to capture data from components in test vehicles. RFID chips are fitted onto the components by suppliers. During vehicle testing, engineers can identify the installed prototype parts easily and display the information required for development. Audi are utilising sensor-equipped manufacturing, where they have designed self-learning technology for stamping operations on press lines. The technology uses sensors to measure the force exerted on steel and aluminum blanks to automatically adjusts how much material is fed into a press.This reduces the number of rejected parts and wastage. 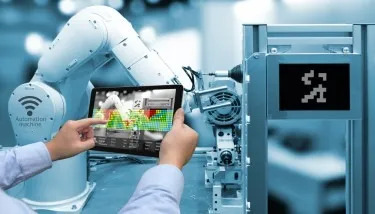 Industry 4.0 can help manufacturers to save time, increase productivity, reduce waste and costs, and respond effectively to customer demands, however to succeed, they must overcome the challenges.